While I totally agree with you, you've already laid out the specific reason why this won't happen. Lands are wasted content space. 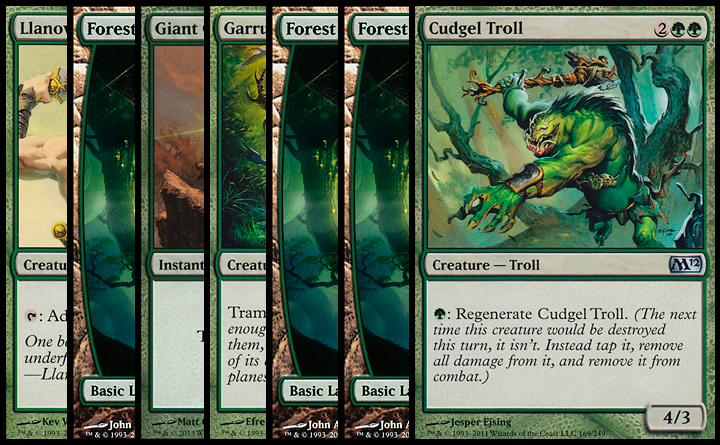 Full art is the obvious solution, but not the only one. What about flavor text about the current plane? Dedicated players eat up all of the flavor that is available, and there's a lot of potential information that could be displayed on basic lands. I think it'd be intriguing to new players as well: a pretty picture is cool, but a picture with even a brief caption transforms it into a piece of a story, hopefully one that they'll want to explore further. @The JZO - "It makes money" doesn't apply to Wizards, though. WotC doesn't make anything on the second hand market so they have no financial stake in whether or not the full art lands are reprinted. Sure, they risk a minor spat with folks invested in them, but that comes whenever they reprint anything. 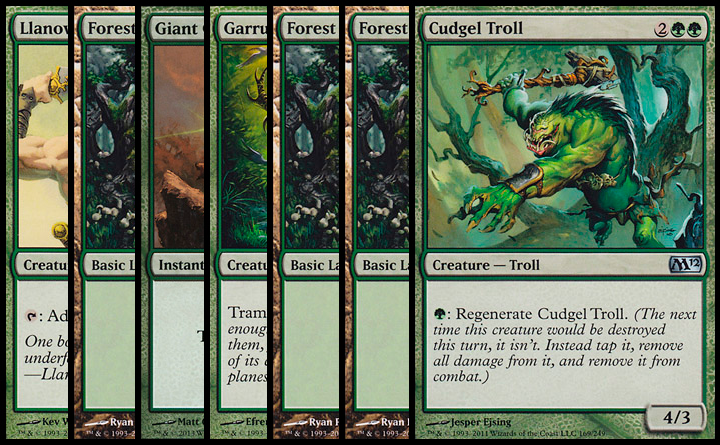 Maybe they'll pop out in Modern Masters 2? Player see full art lands as premium cards. Full art nonland cards are also more popular - why not make all nonlands full arts as well and leave the basics as they are? Or make all cards full art, so much less wasted space. Yes, people want them. Yes people like them, because they look nice. But stripping them of their premium collector status would be disloyal to the community. After all Magic is a collectible trading card game. Desire for expanding your collection drives much of the sales and you have to have a way to distinguish more valuable pieces that players will desire. 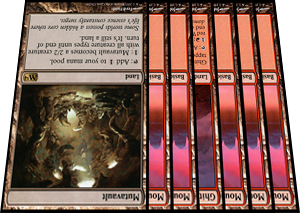 Honestly, I don't think they will print more full art lands. Maybe on a very special occasion. The teaching point is really interesting and one I hadn't heard before, as well as the board-state thing. (Who *hasn't* felt dumb losing to a land? One of the things that continually turns me off about EDH is the plethora of nonbasics waaay across the table that probably aren't important to me...except when they are.) Heck, the arguments about frames, borders, and fonts never had such a strong argument going for them, but Wizards made aesthetic improvements anyway. Sigh. @Jason Kenney: The point is that they can sell buttloads more Return to Zendikar because players anticipate $1+ of value in the lands from each pack. 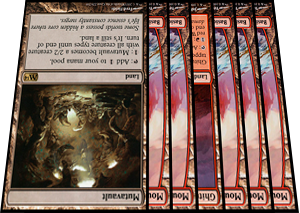 If full-art lands were the norm, there might be a small initial surge in sales upon the announcement of that change, but that's not the same as having a toggle switch at the ready anytime you think your set might otherwise sell only so-so. As an instructional designer and someone who teaches mtg a lot Full Art lands are not a good teaching tool for the whole game because they do not have the mana symbol on them prominently. They're slightly better for teaching "this is land" but the don't teach the skill of identifying cards in the same frame quickly, full arts make them excluded from that cognitive action. Also the mana symbol ties back to CMC, and activation costs - without having the prominent mana symbol on the land cards full arts use more visual and recall action fir new players - they're sweet but almost all of their shortcuts benefit decision trees at higher levels of play not entry level. I agree there should be a mix and certainly more full art but they are a a limited teaching advantage for one concept not a holistic one for the full games design. Once manna concepts have been fully internalized then they offer advantages by REMOVING themselves from more advanced decision trees because players making those decisions don't pay attention to manna symbols as cognitive shortcuts any more. The visuals are almost elided into cues for decision as opposed to art. full art is a huge benefit to advanced players at that level. ^^^ What are you goin on about? The mana symbol is in the exact same spot as the non-full art basic. It's right at the bottom center of the card! The dumbest of the dumbest people can learn Magic with a simplified deck that doesn't add too many special rules. That "any idiot can do it" mechanic with special rule add-ons is part of the reason why Magic hooks people and gets them deeper and deeper into discovering new abilities. If they can't understand what a normal basic land is or how it works after 1-2 games, they likely don't have a future in Magic anyway.